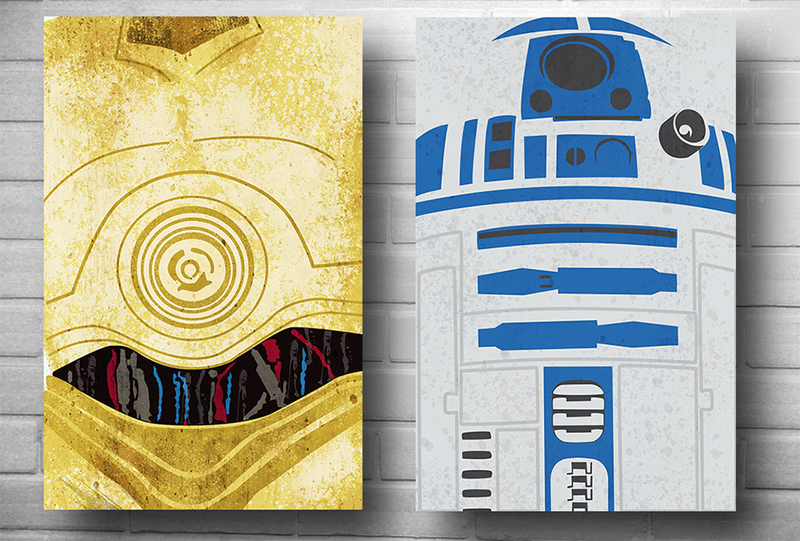 Etsy artist Daniel Price has created two minimalist poster prints based on the famous Star Wars droids, C-3PO and R2-D2. Each print is 11″ x 17″ and is made using archival pigment inks, and is printed on archival, heavyweight, matte paper. You can also purchase each separately for $17.